Like traditional pull tabs, seal card games contain instant win tickets. They also contain hold tickets with sign-up numbers that correspond to a seal card, giving players additional chances to win larger prizes! 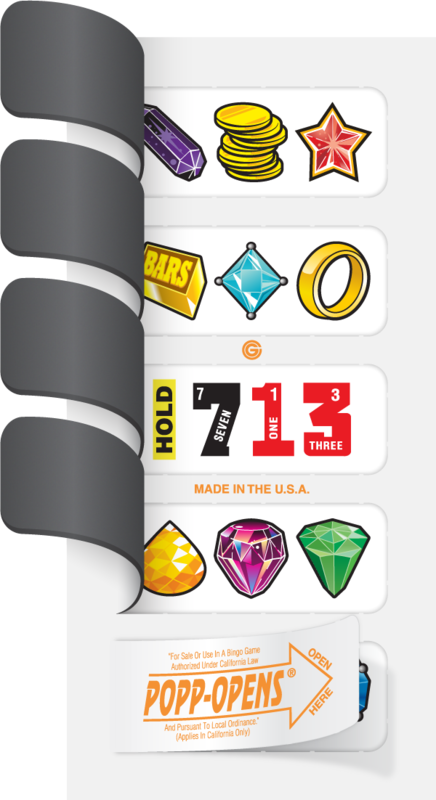 Like a traditional pull tab game, seal card games include monetary prizes paid out for a winning ticket based on a specific combination of matching symbols. 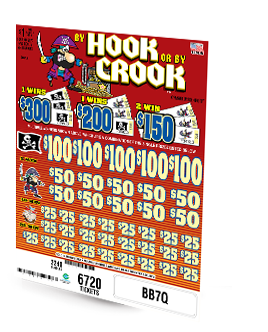 Instant win prizes keep players engaged as they await their chance to win a larger seal prize. As the game is being sold, players with predetermined hold tickets (i.e. 013, 113, 213...1713) sign their name on the seal card for a chance to win the larger seal card prize. 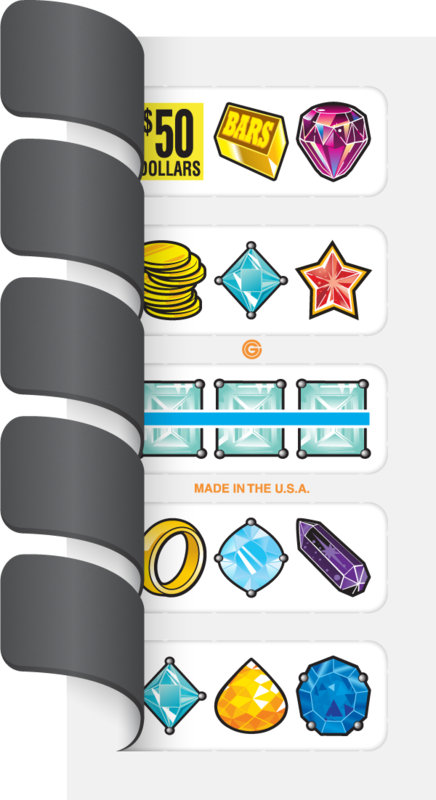 Seal card games contain a special seal card that determines the winner(s) of the larger prize(s). Typically, seal cards will include a predetermined number of signature lines that correspond to the number of hold tickets in the deal. Players that find hold tickets may sign their name on the seal card. 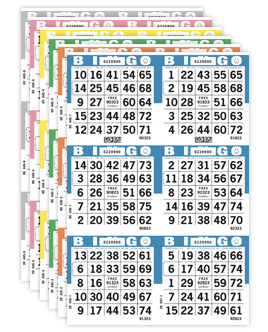 Once the entire deal is sold, the window on the seal card is opened by the operator to reveal the sign up number of the grand prize winner(s). 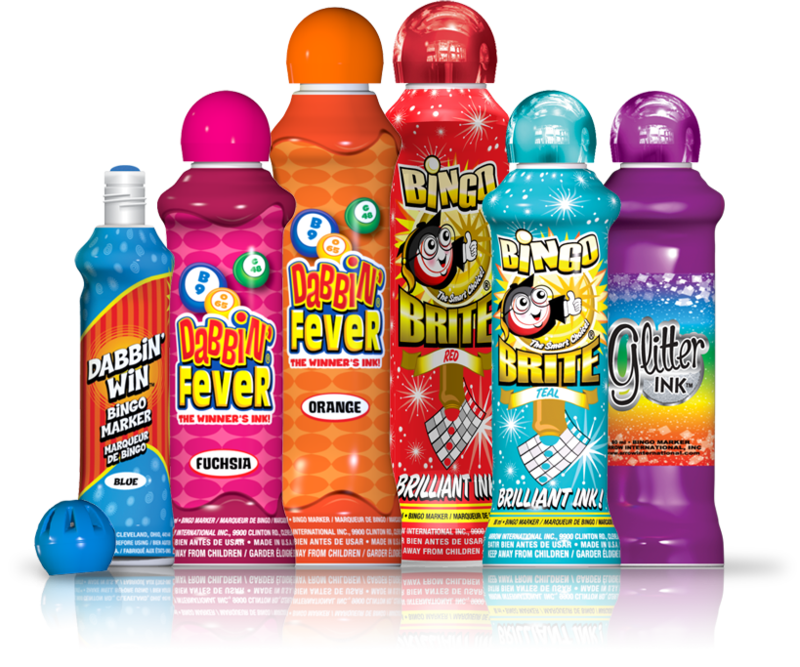 Seal card games typically offer an option to provide one large prize for a single winner or split the prize into smaller amounts for multiple winners. For example, with Diamond Daze™, there is a total of $500 to be awarded. 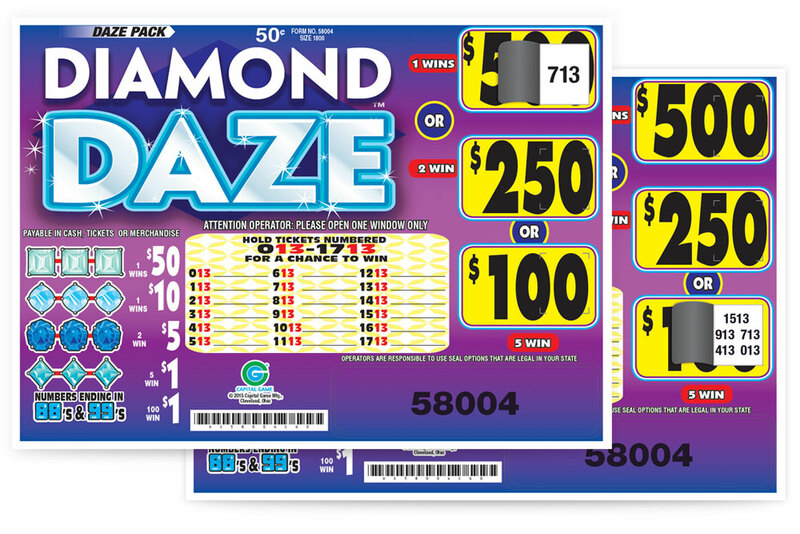 The operator may choose to award a single winner with a $500 prize, two winners with $250 prizes, or five winners with $100 prizes.